The local authorities are responsible for handling matters in crisis situations. Follow the instructions given by the local authorities. If you have not registered at matkustusilmoitus.fi before your travel, please submit your travel details in the service as soon as possible. The local authorities are responsible for handling matters in crisis situations. Follow the instructions given by the local authorities. Should you need urgent assistance, contact the local rescue authorities (the police, the fire service, ambulance). 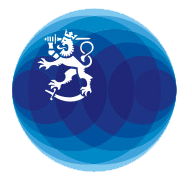 Follow local media and the website of the mission of Finland in the country and the website of the Ministry for Foreign Affairs.. In accordance with the Package Travel Act (Valmismatkalaki 1079/1994), the travel organiser has the duty to assist the traveller in the procurement of medical care or repatriation and in the clarification of an offence or loss or injury and other necessary measures. Avoid being outdoors. If possible, leave the crisis area or at least send your family members away from the area. If you are living in the country on a permanent basis and you leave the area, inform the Finnish mission about your movements. If there is no Finnish mission in the city or country, the missions of the other Nordic countries and EU countries are obligated to assist Finnish citizens in distress. Register your travel details at matkustusilmoitus.fi. In the event of an emergency or crisis, the Ministry can contact those who have submitted their travel plans and contact details at matkustusilmoitus.fi. The Foreign Ministry issues travel advice notices on the countries in which Finland has a mission or of which Finnish missions can obtain reliable information. If you are travelling to a country on which travel advice is not issued by the Foreign Ministry of Finland, check other countries' travel advice.